We are really pleased to be a media partner with Search Elite and they have two tickets to give away, worth £600 for their Search Elite and Conversion Elite event June 6th. Search Elite is for the technically minded who need to get their geek on. It is bringing you lots of actionable takeaways for an enormous ROI covering:New Interfaces – voice, visual, apps, video, plus next generation technical SEO – structured markup, performance optimisation. Slido have been supporting Search London for years and we are very happy to be a media partner for the birthday party. Sli.do is an audience interaction platform for meetings and events. It allows event organisers to crowd-source top questions for Q&A sessions, get instant feedback via live polls, which will be great for our presentations on Tuesday ! We are excited to announce the 7th birthday party at Urban Golf in Smithfield, on Tuesday, January 30th from 6:00pm. Come and celebrate Search London turning 7 years old with food and drink and of course cake ! Plus as we are at Urban Golf we have exclusive use of the whole place including 7 golf simulators. Practice your golf and network, all while being indoors. Malte Landwehr is the Director for Product Marketing and Product Solutions at Searchmetrics. He has more than 10 years of experience in search marketing and is a regular speaker at conferences across Europe. Before joining Searchmetrics, Malte worked as a project manager and consultant for digital strategy at a management consultancy. You cannot have a birthday party without food and thank you to ConsiderableInfluence (CI) for sponsoring the food. 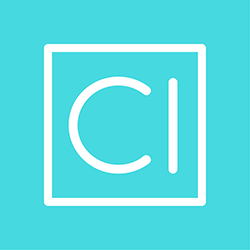 CI is an influencer marketplace, working primarily with bloggers and their social reach. Already with more than 700 influencers active on site and ready to work on your campaign. Influencers are across Travel, Food, Lifecycle, Fashion, Tech & Gadgets in many countries. Sign up for free today. Pierre is a digital product management consultant, with a specialty in SEO. Prior to founding Deliberate Digital and Blockmetry, Pierre held several roles at Google and the technology sector in the UK, including product management, community management, innovation consulting, and online marketing. Pete Reis-Campbell will be sharing his thoughts on “Voice Search and AI in 2018”. Pete is the owner and founder of the award winning agency, Kaizen which he set up just 4 years ago and now has a team of 15. Kaizen is a Content Marketing agency based in the Tech Hub of London. We could not put onsuch a big event without our sponsors and Ricemedia will be one our drinks sponsor for the evening. Ricemedia are a Birmingham based Digital Marketing Agency, specialising in SEO, PPC and Social Media. Founded in 2001 we have grown to a team of 24 and have worked with clients from Superdry, Hardly Ever Worn it and Aston Villa. You may have seen us at BrightonSEO, Digital Olympus, Internet Retailing and here: we’re slowly muddying our Brummie expertise into the Search world. Spaces for the party are limited, only 100 tickets available. Purchase your ticket on Eventbrite to reserve your place. If you would like to be involved in our birthday party, please contact @SearchLDN. I am very pleased to announce the website for Search London.I took over the meetup in October 2010 and we have grown it to now over 2000 members (as of January 2018). Now we have the first ever Search London website. What do you think? If you have any comments good or bad, we would love to hear from you. We are on Twitter and Facebook.